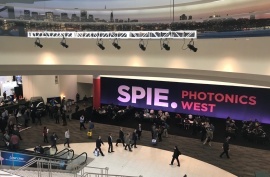 Main purpose of visiting San Francisco was to take part in the Photonics West 2018 conference. The conference is the largest meeting of people from photonics and biomedical optics fields and gives the great opportunity to discuss and see current progress from these fields. The conference was attended by: Dawid Borycki, Michał Hamkało and Yuriy Stepanenko. The goal of the visit was to carry first in the world investigation of full heart with use of OCT system. For that Michał Hamkało had to get newly extracted hearts of mice from an authorized laboratory in Goettingen and took it to Luebeck (to next cooperator) with help of dr Jan Christoph. 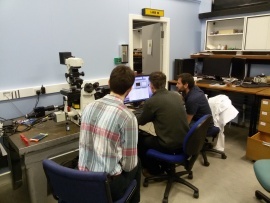 The goal of the visit was to perform experiments on human cells using novel microscopic technique: differential dynamic microscopy (DDM). The plan of the experiments contained quantification of movement of subcellular components in native HeLa cells and observation of changes of mobility during programmed cell death (apoptosis). The purpose of the travel was to assess the perspectives for future collaboration with the Soft Living Matter Group run by prof. Clifford Brangwynne at the Princeton University. 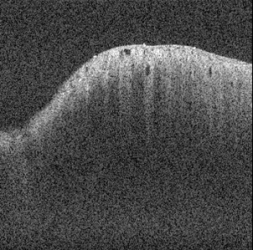 The group conducts cutting-edge research in the field of physicochemistry of soft matter in living systems. 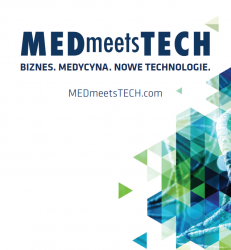 Łukasz Kornszewski (member of the prof.Wojtowski group) attended MEDmeetsTECH conference which focused on bringing together Polish medical, financial and technological professionals in order to help them understand their needs and learn about solutions offered by the others. On the 20-21, December, 2017 prof. Wilhelm Huck, from the Radboud University, Germany came to IPC. 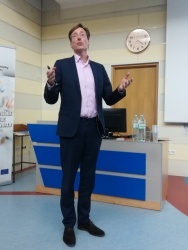 This visit was held under a series of cyclical lectures on interdisciplinary emerging research. Prof. Huck delivered an open for all IPC researchers (incl. 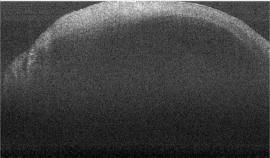 PhD students) lecture entitled “Building a Synthetic Cell”(see raport for details). After the seminar, professor met with a few students who had previously expressed such need. The aim of this meetings was to consult students’ research projects and discuss the possible development directions. 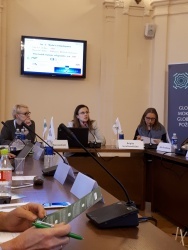 On the 21st November 2017, in Vilnius, Patrycja Nitoń and Monika Wydorska took part in the conference “Widening Lithuanian Research Potential” organized by Research Council of Lithuania and Lithuanian RDI Liaison Office LINO. The aim of the conference was to discuss Horizon 2020 measures under the programme “Spreading Excellence and Widening Participation”, Lithuanian and other Widening Member States experiences related to applying and participating in the Teaming, Twinning and ERA Chairs projects. 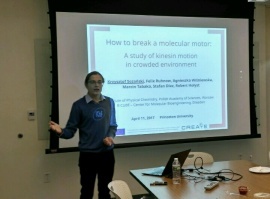 Michał Hamkało as a member of the prof. Wojtkowski team took part in a working visit at the Max Planck Institute. 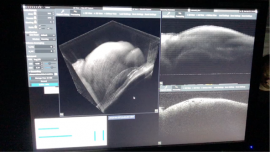 The bussines trip was organized in order to perform the first 3D OCT measurements of a beating rabbit hearts (in Langedorrff perfusion system). 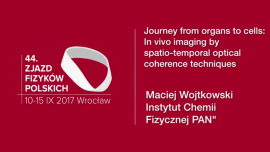 Professor Maciej Wojtkowski participated in the 44th Congress of Polish Physical Society in Wroclaw, with a plenary lecture entitled "Journey from organs to cells: In vivo imaging by spatio-temporal optical coherence techniques". The Congress of Polish Physical Society is the oldest Polish physics conference, with its history reaching back to the Inaugural Meeting held in Warsaw in 1923 and since then it has been organized in various cities in Poland by local branches of the Polish Physical Society.